In the fields of Holland, acres of bright tulips wave in the wind, creating a heavenly vision. 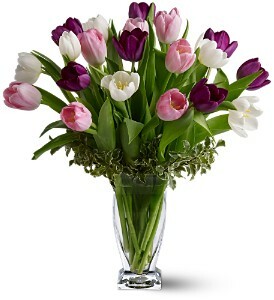 This mix of twenty tulips in gentle shades of pink, white and purple captures all the beauty of those Dutch gardens. A wonderful floral gift for any occasion.